Hurray for Piso fare purchases from Cebu Pacific! 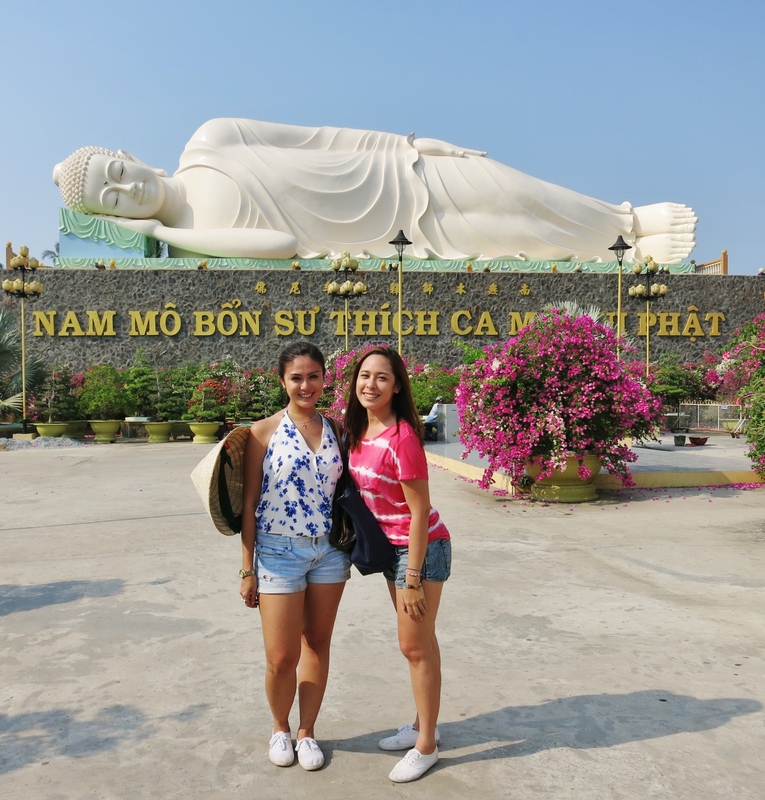 I get to travel more around South East Asia without the guilt of overspending. My ticket to Ho Chi Minh, Vietnam was 4,000 pesos return (US$100). 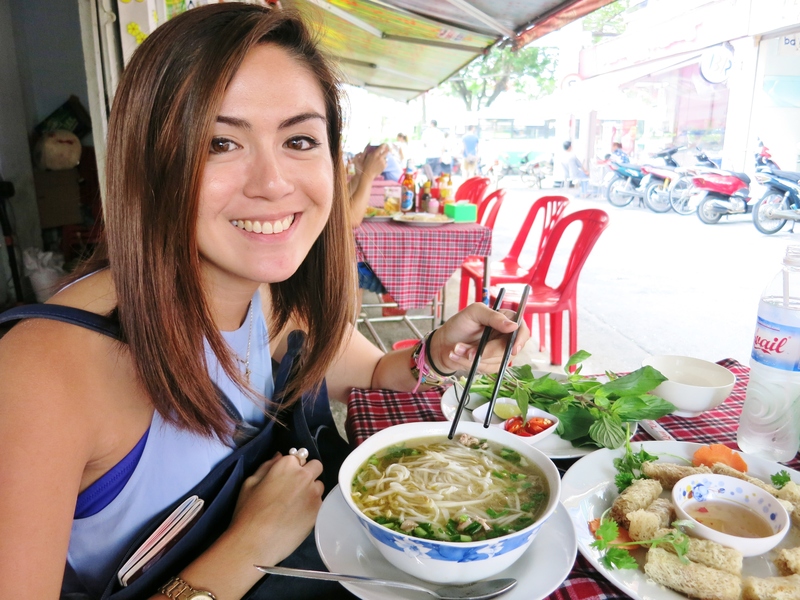 My best friend is a busy woman so I was thankful I got to drag her out of her schedule to spend 4 days glued with me in Saigon. We stayed at Sunland Hotel in Vo Van Kiet Street. For PHP 1,900 per night for 2 people, you get a free buffet breakfast, free access to their gym, they have a roof top pool and even a sky lounge where you can enjoy a drink while overlooking the city. The only thing about this hotel was that it was a little bit of a walk from the city center. Most of the time we had to take a cab but it was worth coming home to a clean and comfortable place. My first day in an unfamiliar city, I always immerse myself with it on foot. We wanted to walk from our hotel to the city center but we didn’t even make it half way without almost getting run over by a speeding motorcycle – so we gave up and cabbed it to the city center. We had our map so we walked and saw the Notre Dame Cathedral, the Old Post Office where we found our tours, and also found a beer garden where we spent happy hour. I call this the “Champs Elysees” of Ho Chi Minh. This road houses all the high end brands such as Hermes, Gucci, Louis Vuitton, Rolex… you name it! There are lots of restaurants to choose from and it is simply a lovely stroll up and down this road. Here’s a list of all the restaurants we ate at and their locations and price range. I wouldn’t want you ending up getting lost trying to find these restaurants just like us! 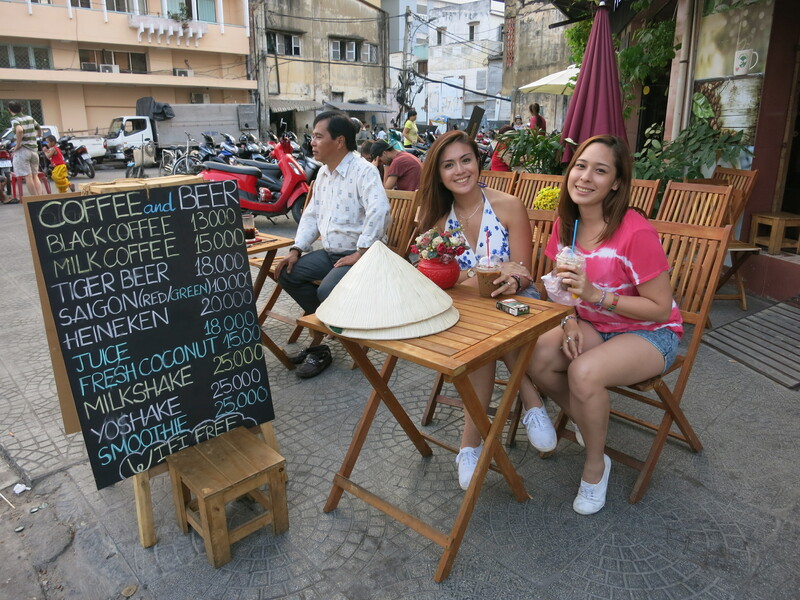 The Back packers area is in Pham Ngu Lao Street where you can find a series of restaurants, hostels and a lot of young people. We ate in one of the side street restaurants in the area. We paid VND 212,000 (PHP 435) and that already includes beer. Located at 10 Dang Tat, Ward Tan Dinh. This restaurant is very famous because Angelina Jolie came here to have a meal. 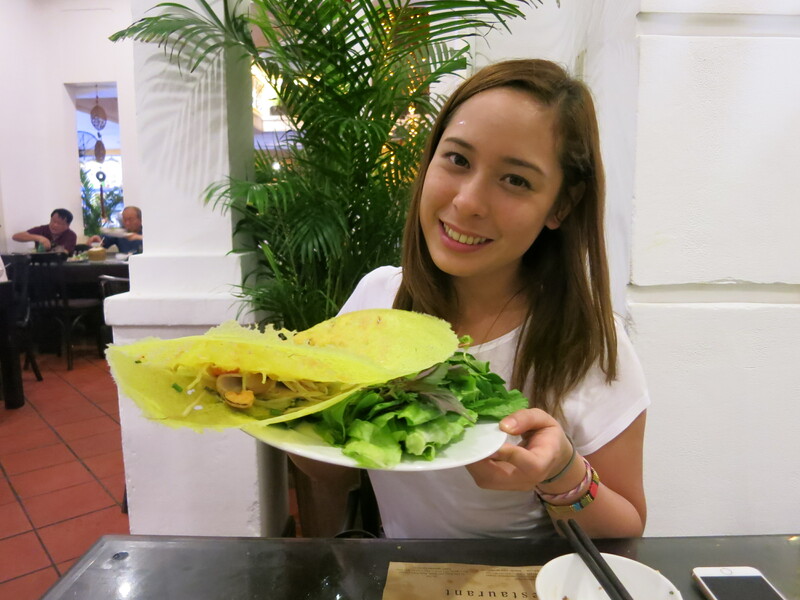 They have such a wide variety of dishes that you get confused on what to order! I wouldn’t know how much this restaurant is because my beloved cousin paid for the meal. 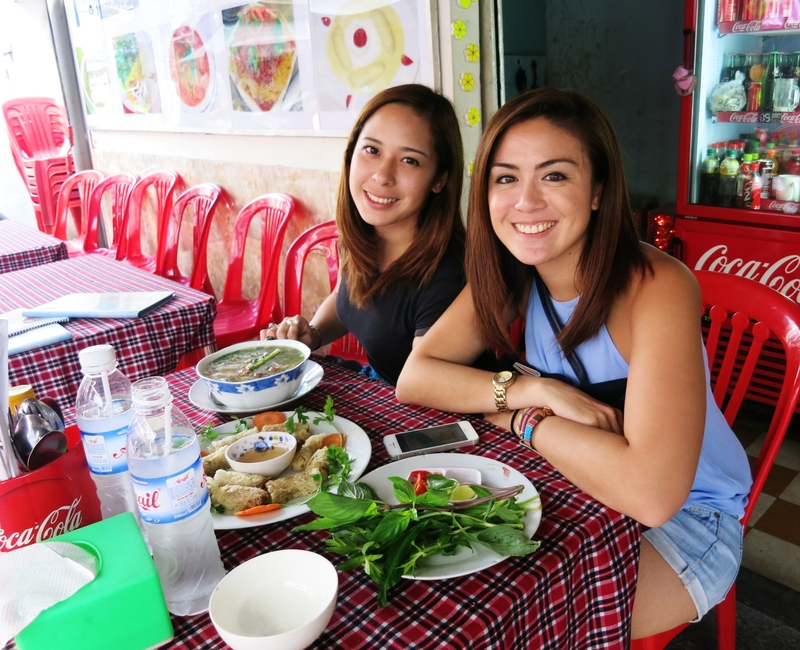 I love eating where the locals eat because that is as authentic as you can get! This was right outside our hotel — very convenient. We had a hard time communicating with the waiters because they didn’t understand a word of English but we managed to do sign language. We paid VND 148,000 (PHP 300). Our very last meal in this city was at the night market. 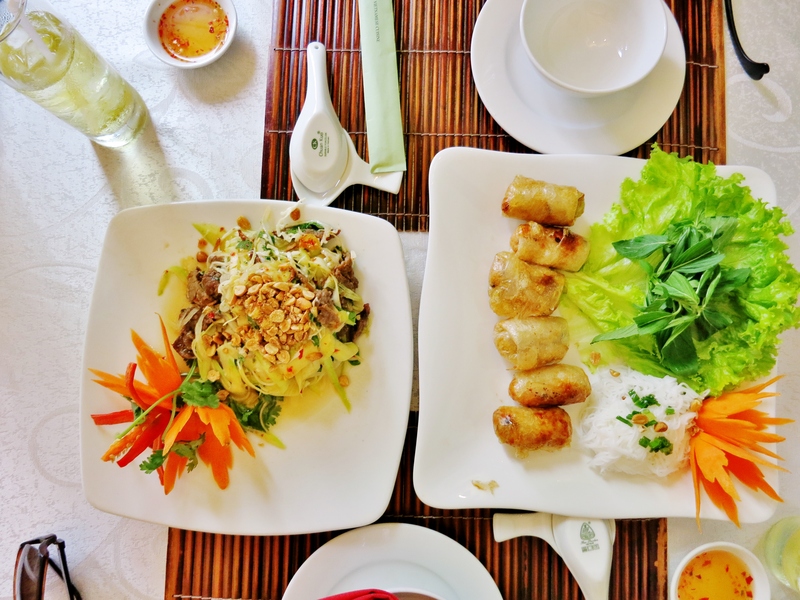 They serve the best authentic Vietnamese dishes! You just pick a seat, order and they serve you the food. 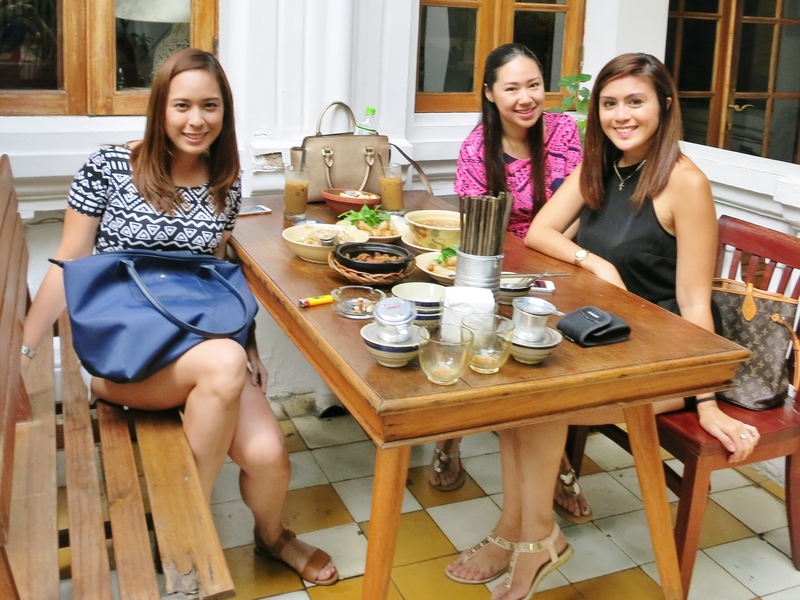 I paid VND 439,000 for 3 people (PHP 900). We had too much food we didn’t even get to finish it. Just like the Philippines, street food is the best! 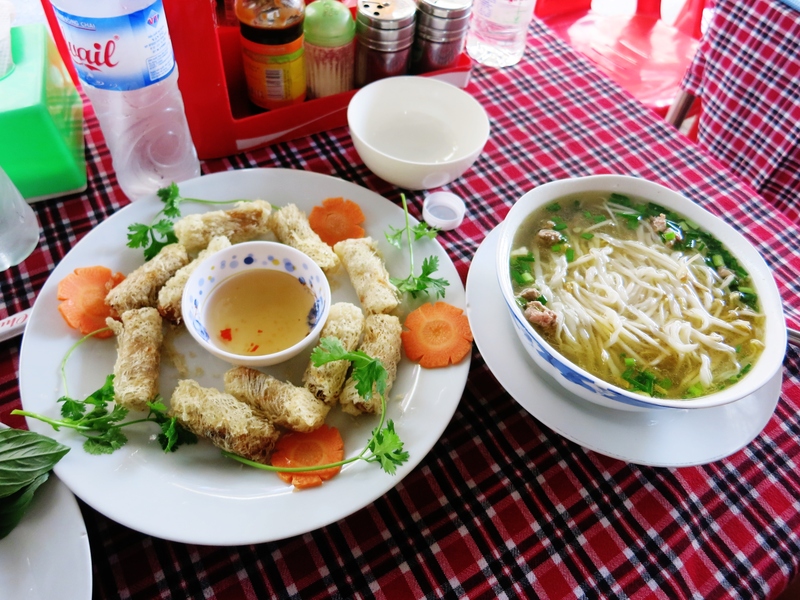 Pho 2000 – This restaurant is very famous because President Bill Clinton had a meal here when he visited. Sadly, we weren’t able to eat there. The old post office beside the Notre Dame Cathedral was where we found the cheapest tours. They offer private and group tours. 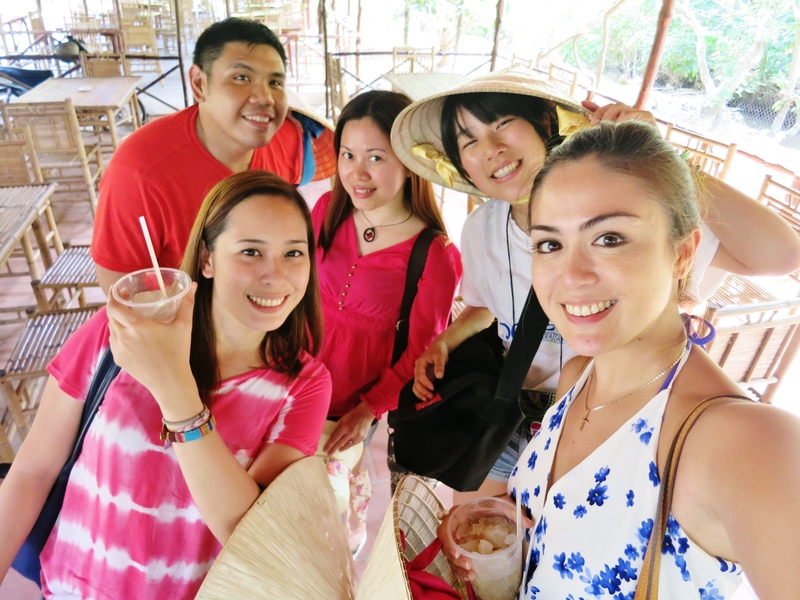 We opted for the group tour so we can meet people and it is way cheaper! Hotel in De Tham Street near the back packers area. We had an English speaking guide and they offered a small bottle of water so make sure to bring an extra bottle. Food wasn’t included so also bring snacks. It was about a 2 hour road trip to Cu Chi but we made a short stop in this place where they make these home decorations out of eggshell. (You have to buy their iced coffee!). The Cuchi tour was about 2 hours long. 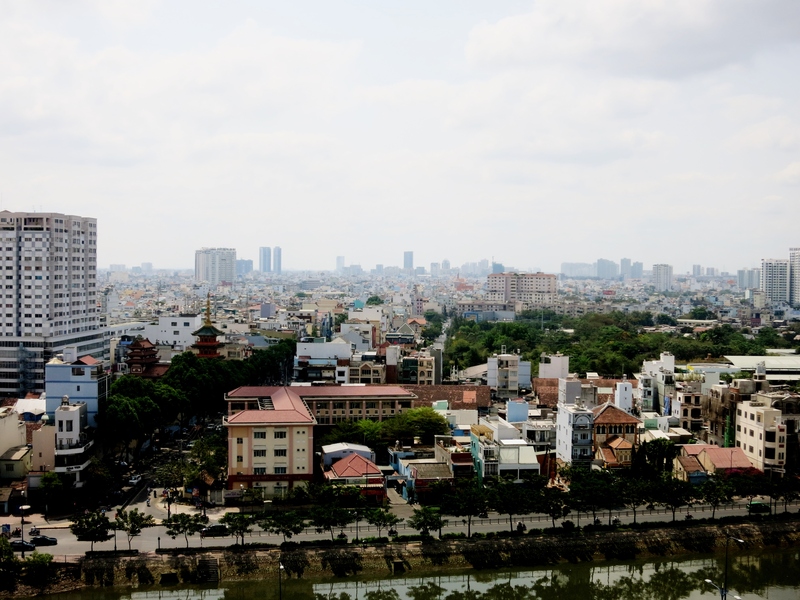 the guide takes you around the site and shows how the VietCongs lived during the war; how they made weapons, how they ate, how they fought and how they survived. 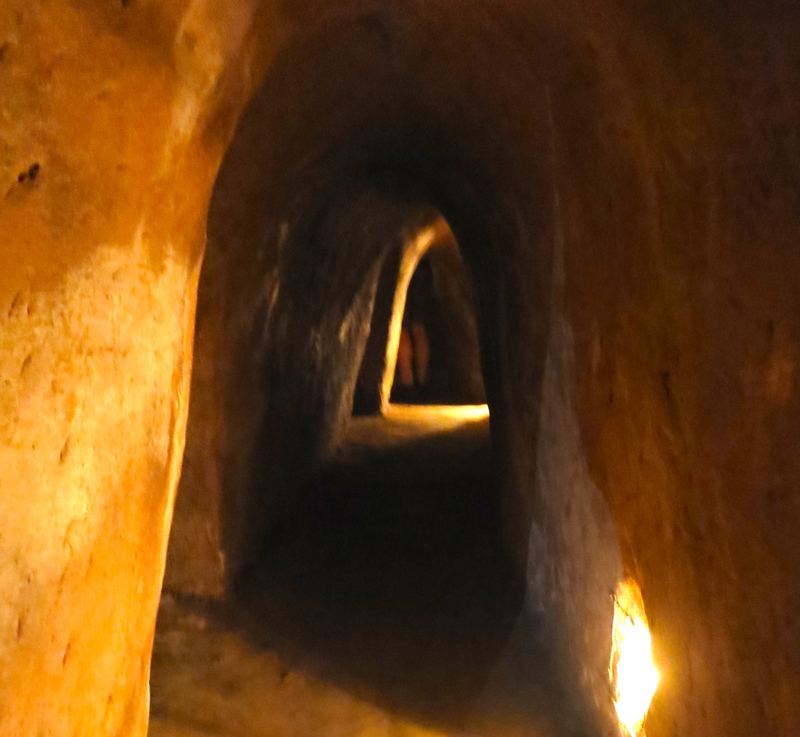 The best part of the tour was when we crawled 100 meters through the dark tunnel. There was little ventilation, I got a little claustrophobic and short of breath but there are a lot of exits. I had to pause several times. It was very challenging but we got to crawl the entire 100 meters. 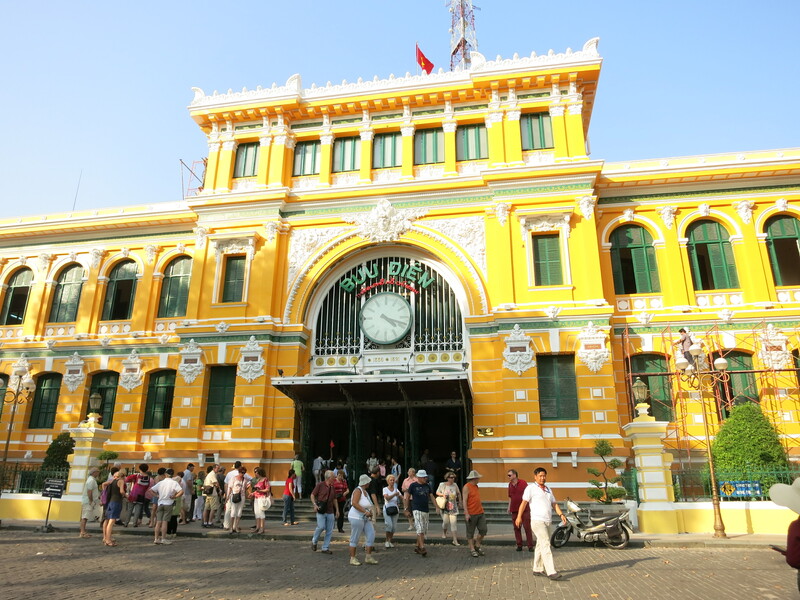 What makes this place very famous is that the tunnel is 121km long spreading throughout Ho Chi Minh. I quite enjoyed the tour. I love learning new things especially about things that shaped history. It was a day filled with learning! 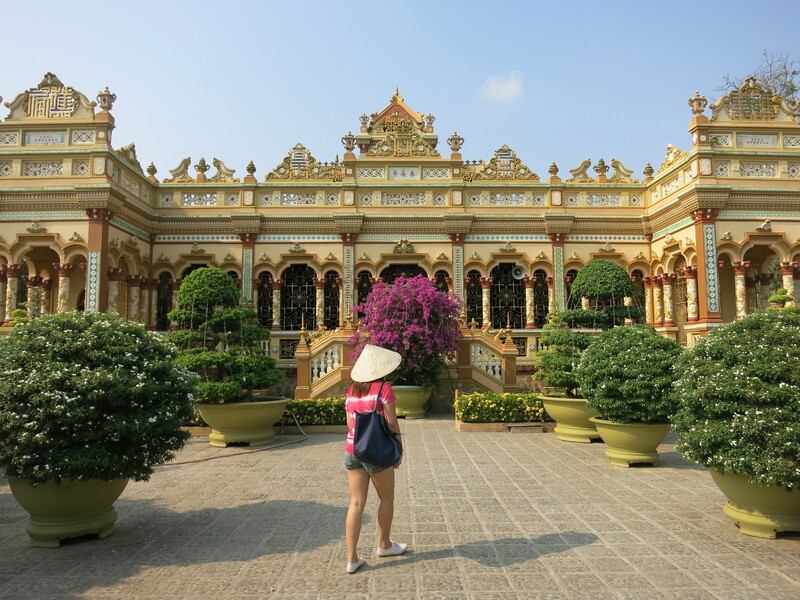 It is two hours away from Ho Chi Minh City. 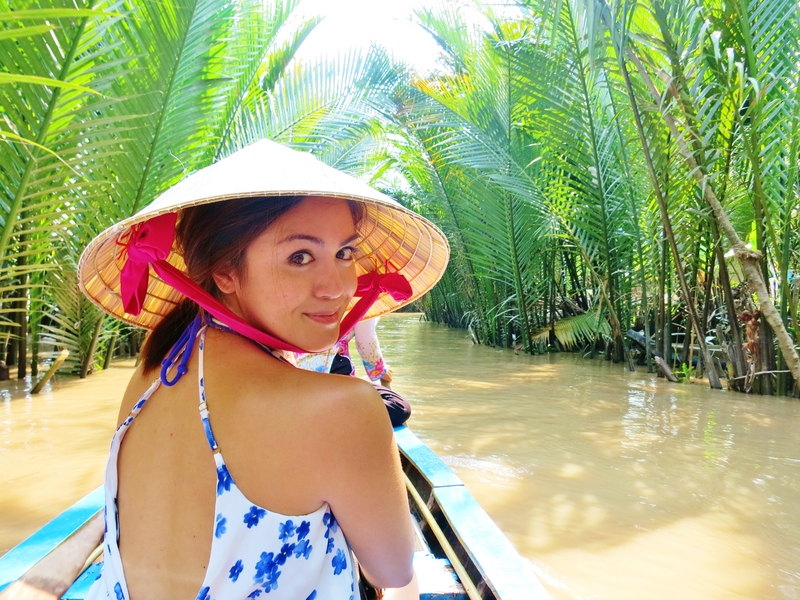 They hop you on a boat and take you to different places around a tiny portion of the Mekong. They take you to a honey farm. Here, they show you how honey is made then they sit you down so they can sell you their products. They also make you try their honey tea which they make right in front of you. The next stop is the coconut farm. 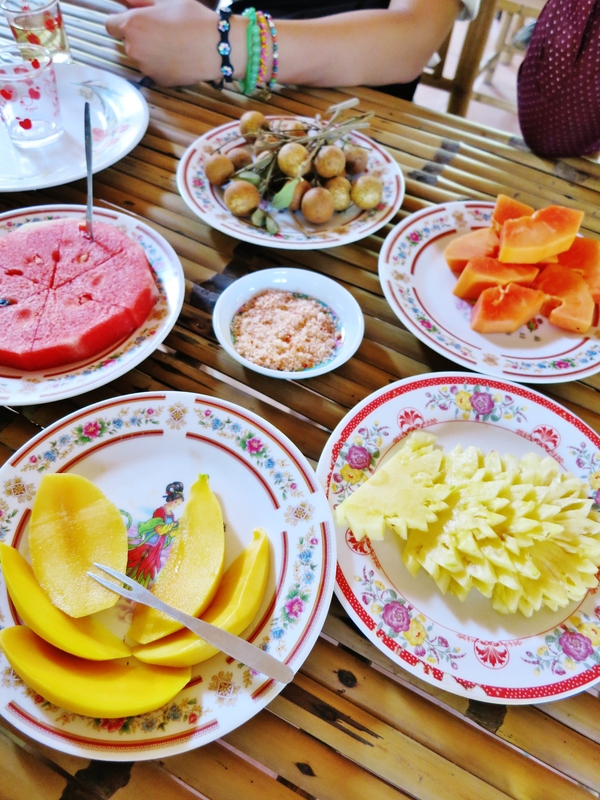 You can buy souvenirs such as candy and home needs all made out of coconut. You see how these ladies wrap the candies so fast! 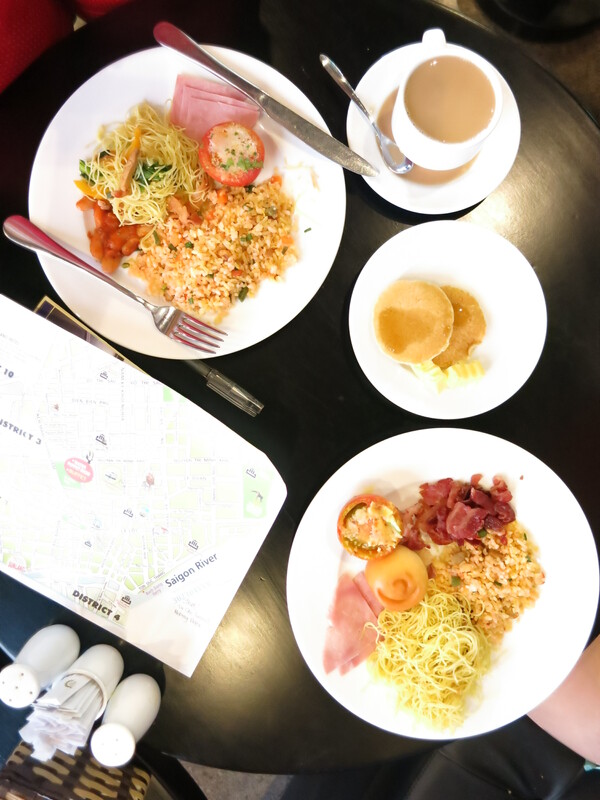 The tour includes lunch so the next stop is a restaurant where you will enjoy a simple lunch. The best part of it all was transferring to a small boat good for 4 people and a Vietnamese woman will row the boat for you and take you to the inner portions of the river. She will show you how the locals in the area live. It was a tiring yet very fun tour and we had a great time! At the end of it is a restaurant where Vietnamese ladies sing you Vietnamese songs while you have snacks. 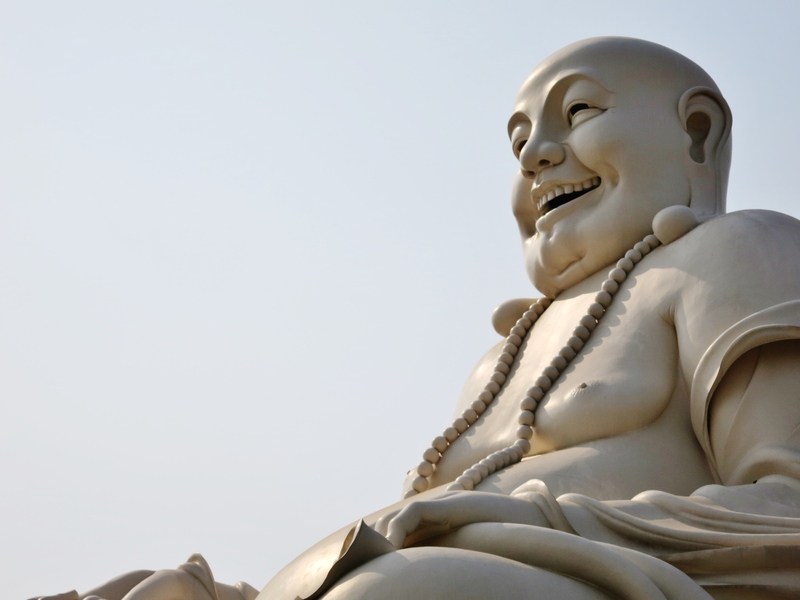 …and just when you thought the tour is over, you have your very last stop at this temple. 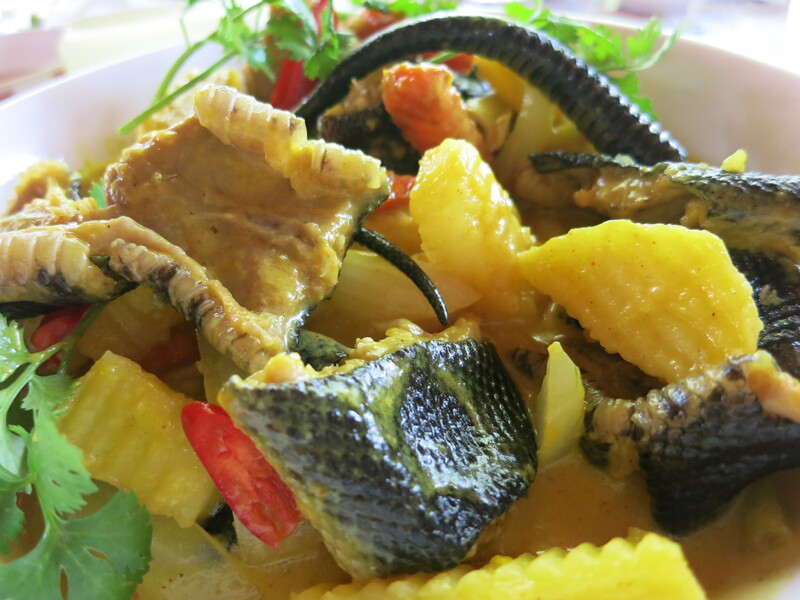 On the Mekong Delta tour lunch, we had snake on our menu! The guide showed us the cage where they kept the snakes and made us choose which one we wanted to eat. What surprised me were the shot glasses on the table. 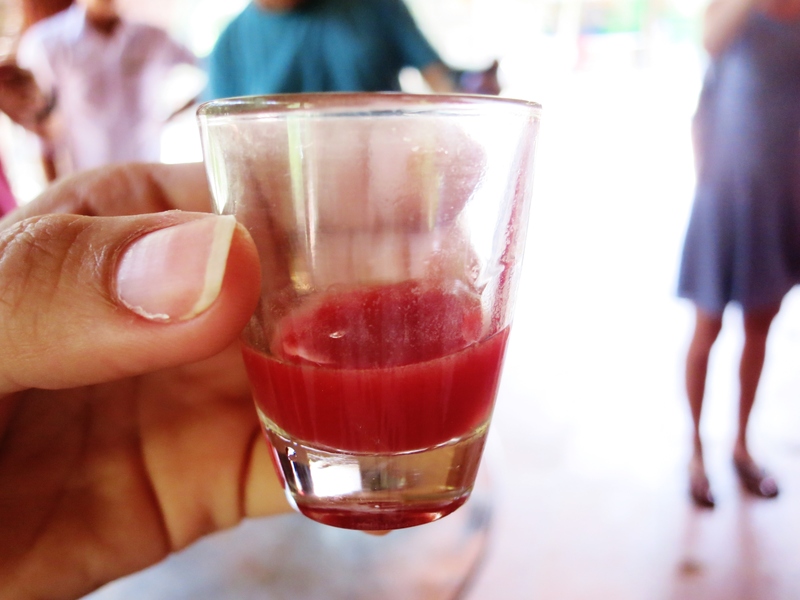 They told us to form a circle and the guy wrapped the snake around his wrist, cut the snake’s head off, dropped the blood in a mug with rice wine and they made each of us take a shot!! It was just like TEQUILLA only it burns your throat like crazy. They cooked the snake with curry sauce and served it for lunch. We had to pay an extra VND 180,000 each for it though. It was worth the shot! Meeting people is easy in this city. You’ll meet a lot of Europeans backpacking through South East Asia while you’re having a drink, or a 20-year-old Japanese girl traveling alone, or a Filipino couple on your group tour, or pilots and flight attendants on their layover, or even an Australian having a reunion with his mates. It’s quite interesting who you bump into when traveling and they make the trip such a memorable one. 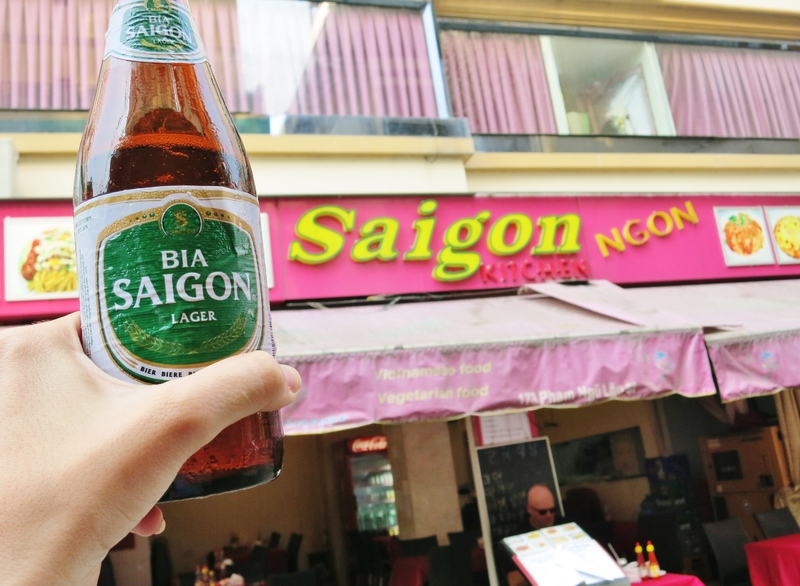 Their most famous beer is called BIA SAIGON. It’s what we drank every night. 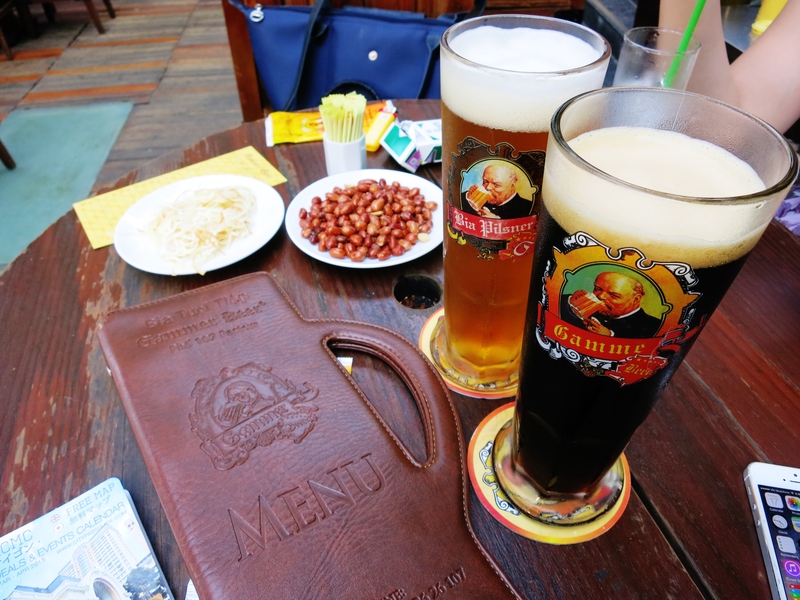 Saigon also has a lot of beer gardens where you can enjoy a variety of beers from different countries. If you ask me, Vietnamese coffee is one of the best I’ve ever tasted. We had at least 2 glasses of iced coffee each day. It was too delicious to resist and it goes perfectly well with the hot weather in this city. 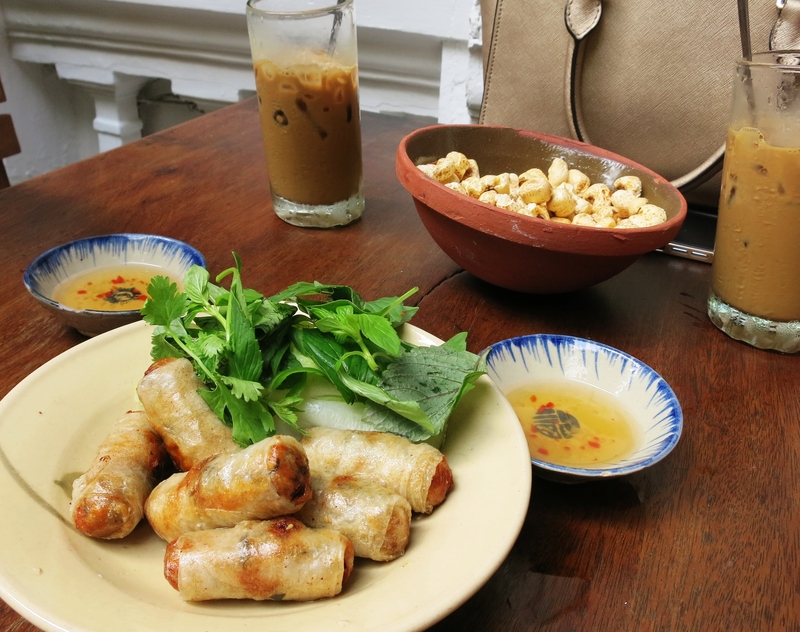 Every corner in Ho Chi Minh City has coffee shops. I recommend ordering Sau Dai or just the plain Iced Coffee with Milk would electrify you the entire day—or morning so you get to have another glass in the afternoon. Ladies, be prepared to go crazy on shopping. 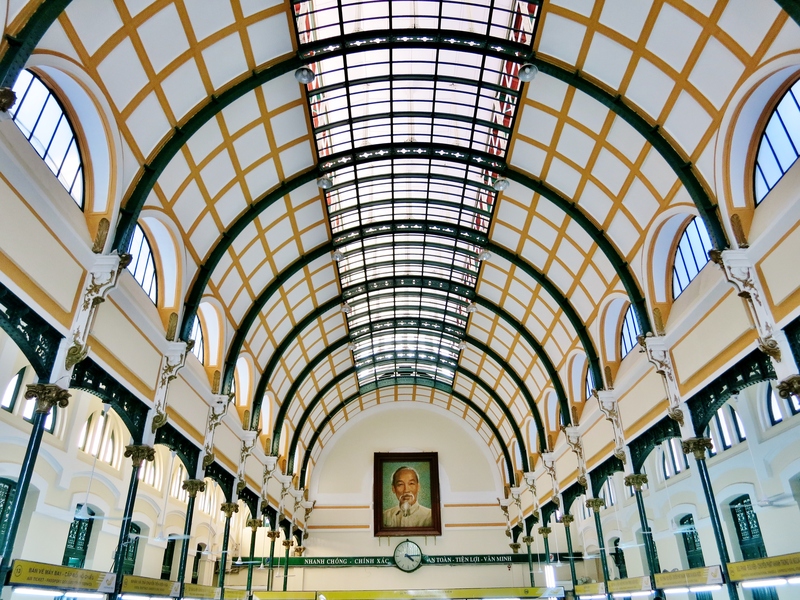 The famous Ben Thanh Market houses everything you need to punish your wallet. 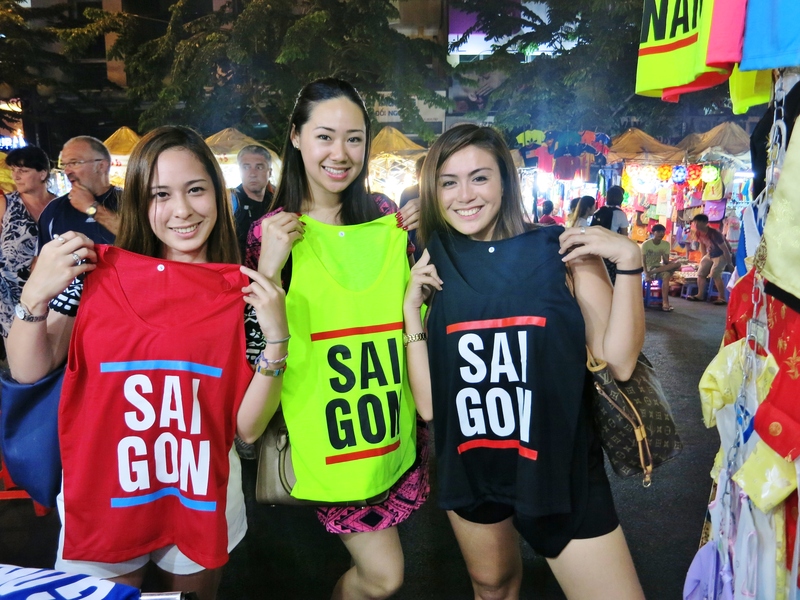 From souvenirs, coffee, scarves, their famous eggshell plate decors, to all kinds of clothing… you’ll find it all here. 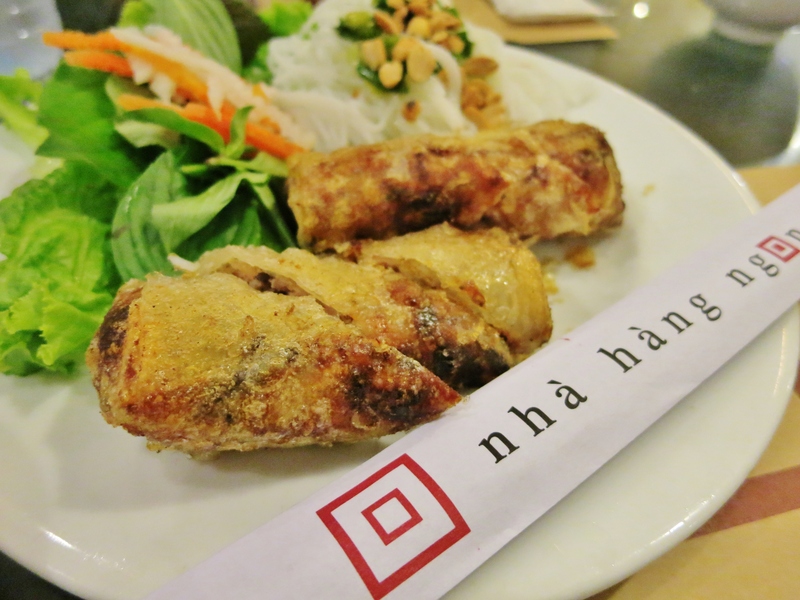 Ben Thanh closes early but it doesn’t end there. When the doors for the indoor market close, the tents outside start to rise. 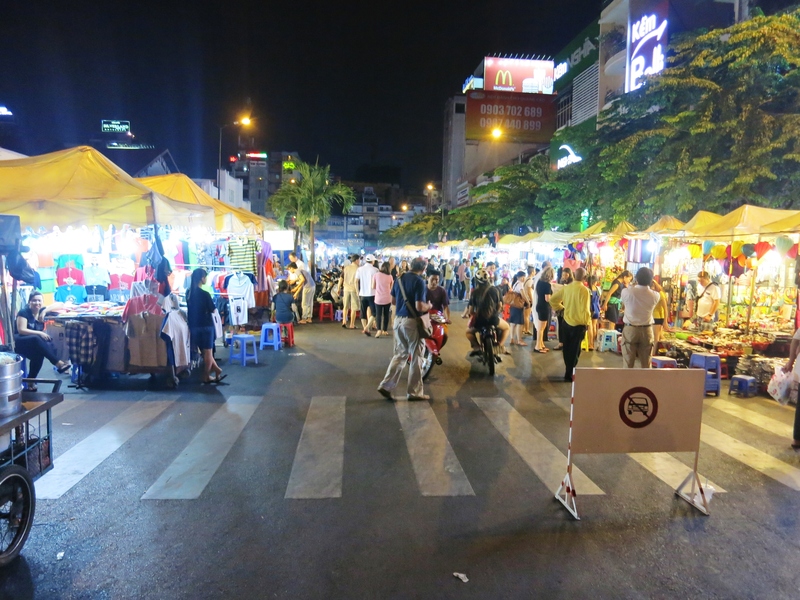 They make sure you don’t miss out on your shopping so they give you another chance to massacre your wallet at the Ben Thanh Night Market. The Siagon Square is more on clothes, bags and shoes. I went crazy buying clothes for my mountain climbing escapades! We saved our last day for shopping. We spent the entire afternoon walking around and around the markets, next thing I knew my hands were full of plastic bags and just when I thought I’ve had enough, I found myself negotiating for a shot glass. I enjoyed this trip very much because I got to spend it with my bestfriends! It was short but a very memorable one. It’s always a laugh with these two around! To our next travel, ladies! Thanks! Hopefully you’ll get to visit this beautiful city soon. Don’t be late so you won’t get left behind next time! Hi Lucy! Thanks so much for reading my blogs. Very inpiring to know 🙂 will add more entries soon. Take care! !